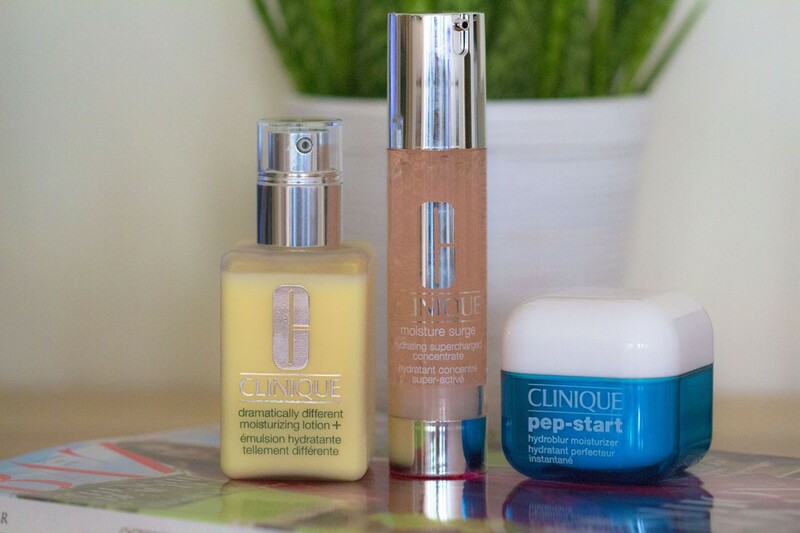 Clinique is the brand that, in my opinion, makes the best cleansers, makeup removers and toners. My forever favourite cleanser is Take The Day Off; my forever favourite toner is the Clarifying Lotion 3. I’m a big fan of the Liquid Facial Soap (which works wonderfully when used Clinique Sonic Brush) and of the Fresh Pressed Renewing Powder Cleanser & Daily Booster. I will always recommend the above products because they are really good and efficient! When it comes to moisturisers, Clinique is not necessary my first option, with one exception: the BEST eye cream, which is my favourite from everything I’ve tried so far and which I’m always recommending, no matter your age and skin type is All About Eyes. I find that the brand creates great moisturisers and serums for young skins, age range between 16 and 25. 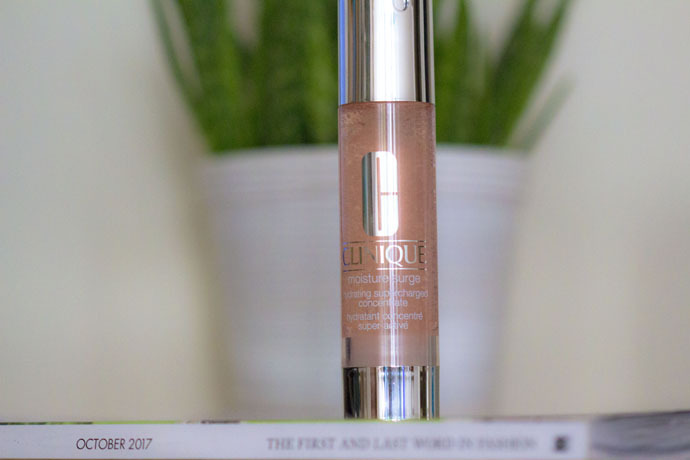 Clinique Moisture Surge Hydrating Supercharged Concentrate (€28,50/ 48ml) | I love the packaging! 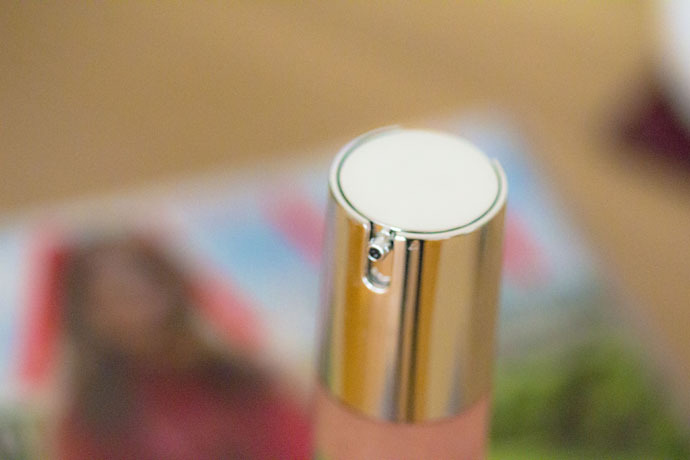 This product is oil and perfume free (however it smells a bit ‘chemical’, if you know what I mean; it’s not a powerful smell and it dissipates completely after application) and the texture is a lightweight gel consistency which isn’t sticky, it absorbs almost instantly and leaves behind super soft, hydrated and smooth skin. It can be used on it’s own or under another moisturiser. 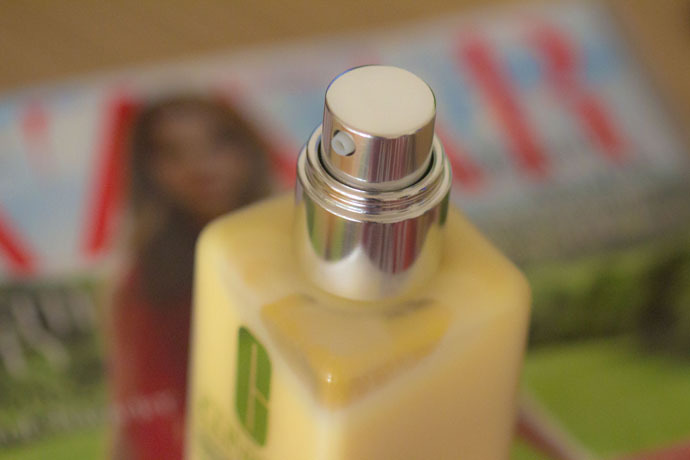 I think that it’s perfect during summer because it’s very light, yet hydrating. It works very good in combination with the Moisture Surge Extended Thirst Relief or with any of the next two moisturisers. 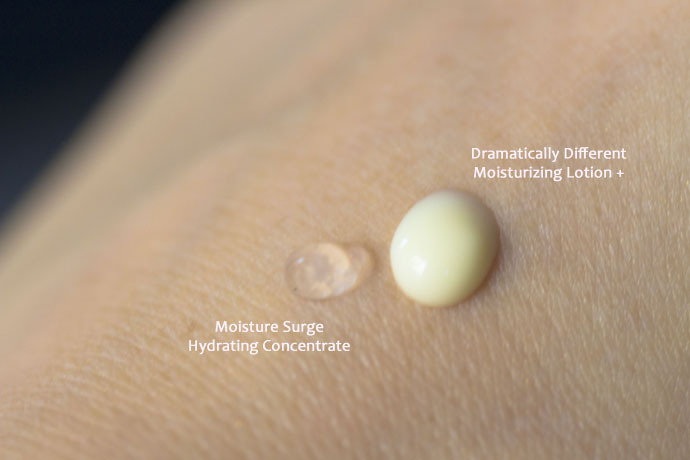 Clinique Pep-Start Hydroblur Moisturizer (€28,00/ 50ml & €20,50/ 30ml) | The product is oil and perfume free, the texture is light and velvety, it absorbs completely almost instantly. It is perfect for oily skin because it keeps the sebum production under control. It is hydrating and blurs enlarged pores and fine lines. Pep-Start Hydroblur Moisturizer is a great day cream if you have oily or combination skin and want to look fresh-faced and moisturised. It’s also good if you just have normal skin, no oiliness, but want a light sorbet like moisturiser that will sit well beneath makeup. I’m using this product only on my oily T-zone and combining it with a more rich product for my cheek area, which is prone to dryness. 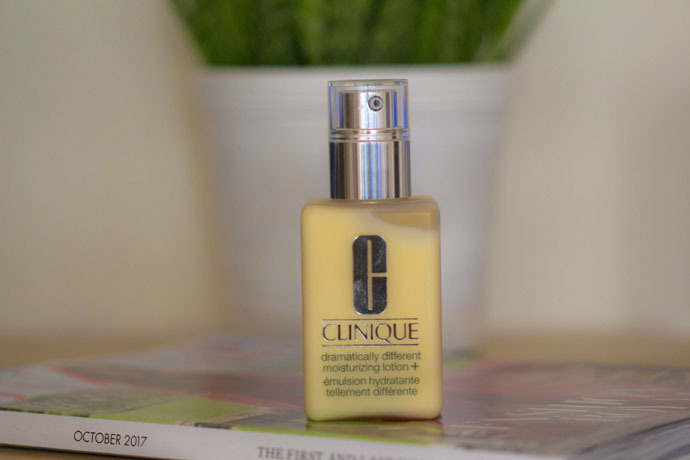 Clinique Dramatically Different Moisturizing Lotion + (€49,00/ 125ml) | Great packaging, again! The product is creamy, light and perfume free (yet, it has the same ‘chemical’ smell found in the Moisture Surge Hydrating Supercharged Concentrate). For me, it’s not a very interesting product because it only helps dry skin stay hydrated and look plumper. 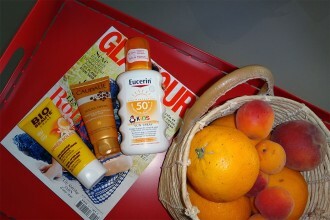 I need at least some antioxidants and/ or sunscreen in my moisturiser, in order to prevent premature ageing. 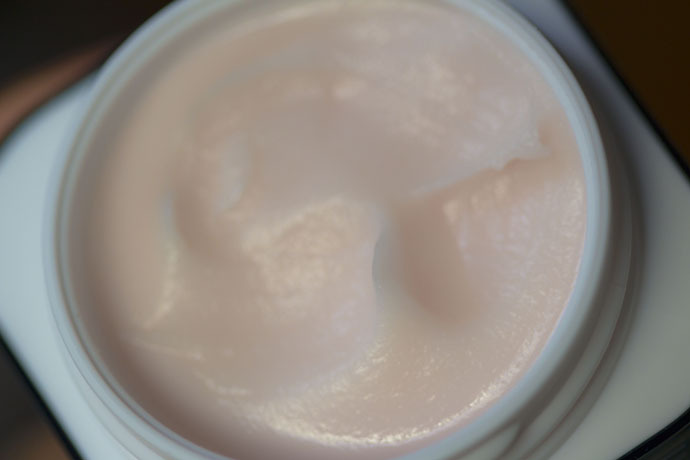 However, if you have dry skin and are looking for a basic moisturiser that will keep your skin soft, smooth and hydrated for hours, Clinique Dramatically Different Moisturizing Lotion + will do the job very well. Never tried Clinique products, I don’t even know why but the moisturising lotion looks really nice. Great article. I’m so bad about using facial cleansers. I usually just use one and done! I need to try these. i know that clinique is a pioneer in the industry and im not sure why i havent tried their products, yay! i think i like the moisture surge being in a gelee form and me having dry skin! I love Clinique and I love these! I think I am going to get the prep one! 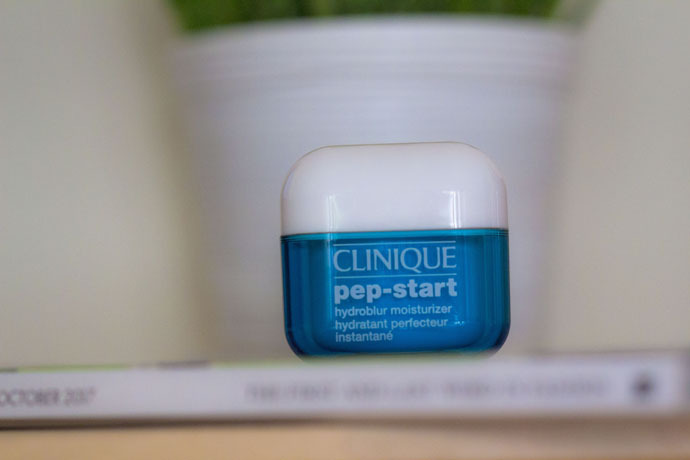 Haven’t tried any Clinique products before but the Pep-Start Hydroblur Moisturizer looks nice! It’s oil free too. What camera do you use?? Oh I just love Clinique! I think they have the best products for my skin. I haven’t tried this one but my skin is so dry at this time of year, I really need to try it! These products look fantastic. I think I would definitely try the moisturizing lotion. I have nothing but good things about clinque products. I should look into them for myself. Clinique Dramatically Different Moisturizing Lotion seems like a good product for dry skin. thanks for this very detailed review. I love clinique products, what a great review on a variety of products! I just started using Clinique again. This post came at the perfect timing. Thank you for sharing your review on it. CLinique has some lovely products for your skin. I have used it in the past and it has always been helpful . I love this brand..have you tried their eye pencil too? Yes, I have! The eye pencils are great especially if you have sensitive eyes!